County Executive Ben Brandon issued a similar proclamation proclaiming April as Confederate Heritage Month in Dade County. 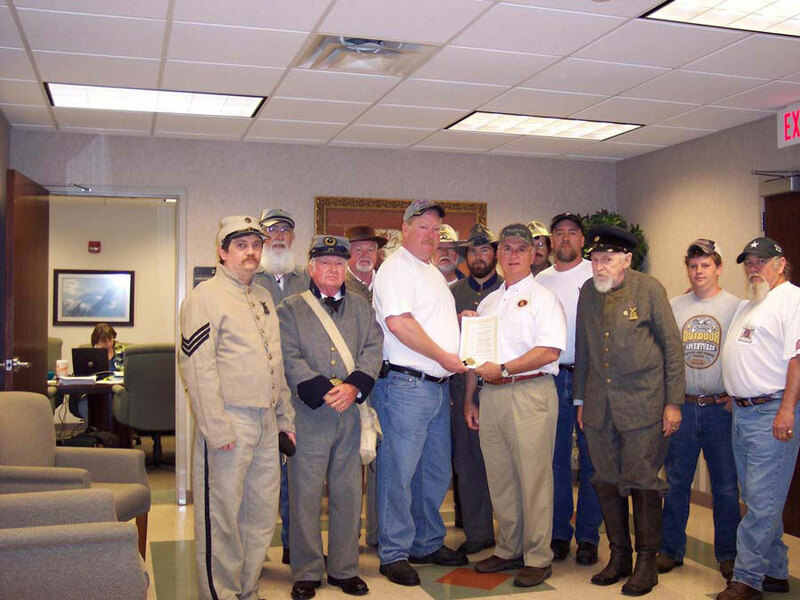 Mayor Anthony Emanuel also issued a proclaimed April Confederate Heritage month in the City of Trenton. 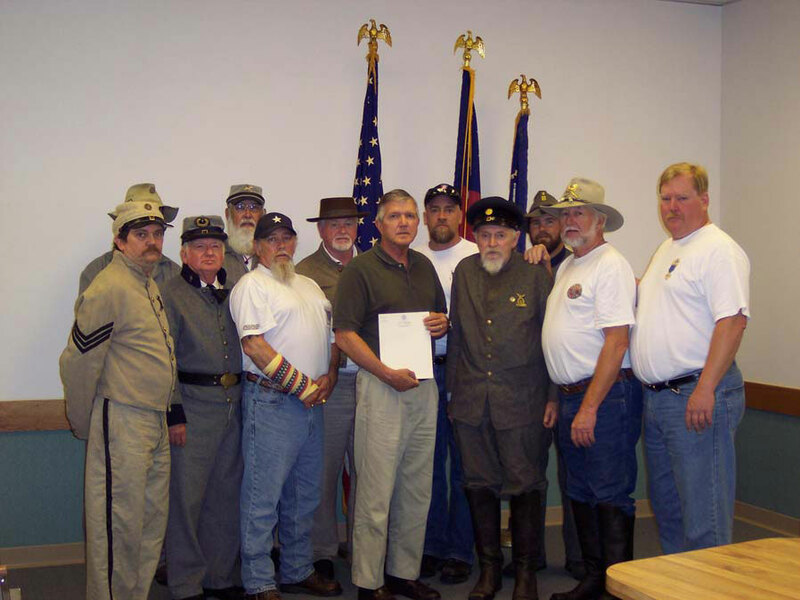 The local chapter of the Sons of Confederate Veterans, the State of Dade Camp No. 707, provided a number of things in keeping with the charge by our governor to learn more about Georgia’s heritage and history. During the first week of April, we flew the First National Confederate Flag, known as “The Stars and Bars” on our flag pole at the Confederate Monument in Dade County’s Veterans Park. During the second week, we flew the Second National Confederate Flag, known as “The Stainless Banner.” During the third week, we flew, the Third National Confederate Flag, known as “The Flag of No Surrender.” During the final week of April we flew the Confederate Battle Flag, known as “The Southern Cross.” Each week the local paper covered the changing of the flag and did an article describing the flag used during that week. Copies of Calvin Johnson’s excellent “Confederate Minutes” were provided to every school in Dade County. This material was also made available to local radio and television, and the information was put to good use throughout the month of April. 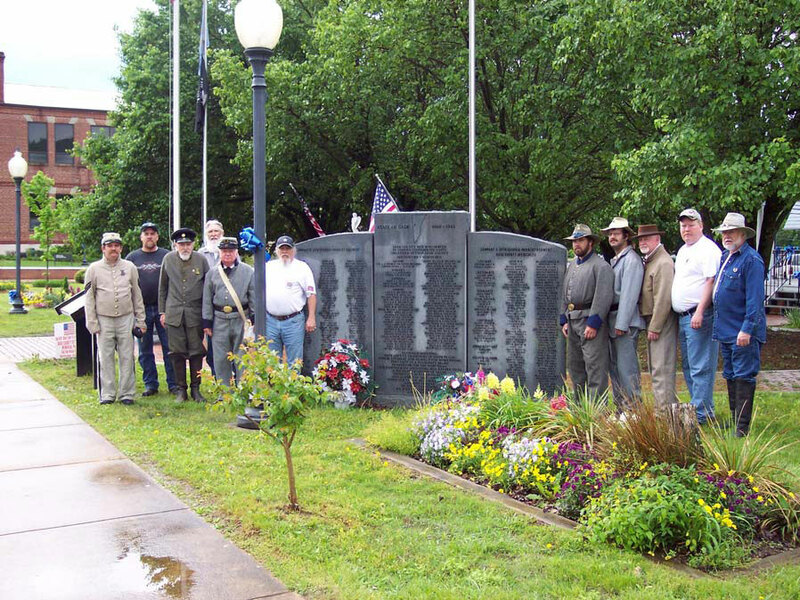 On Thursday, April 27, 2006, at 10:00 A.M., we conducted a memorial service at the Confederate Monument in Dade County’s Veterans Park. On Sunday, April 30, 2006, at 2:00 P.M., we joined with members of the Private John Ingram Camp 1977, the John B. Gordon Camp 8599, and the Colonel Joseph McConnell Camp 1859 to conduct the seventh Confederate Memorial observation at the Georgia Monument in Chickamauga and Chattanooga National Military Park. Ben Brandon was the feature speaker. Senator Jeff Mullis, Representative Martin Scott, and Representative Jay Neal were also featured.